← california lilacs: brilliant shades of blue! ‘Known in the park as “The Godfather of Skate,” “The Sk8father” and “The Mayor of Golden Gate Park,” Miles is part activist, part teacher, part mediator and always party central. But by the end of the summer of 1979, he says the city was already moving to ban skaters in the park. While others wanted to fight the power, Miles says he thought “maybe we can work with these guys.” That started three decades of diplomacy and peaceful but persistent activism that continues to this day. Miles was instrumental in starting the Golden Gate Skate Patrol, which for years provided first aid to park skaters, and helped satisfy city concerns about order on the streets. He’s currently in a decades-long fight to get the Sunday closure of John F. Kennedy Drive in the park extended to Saturdays. 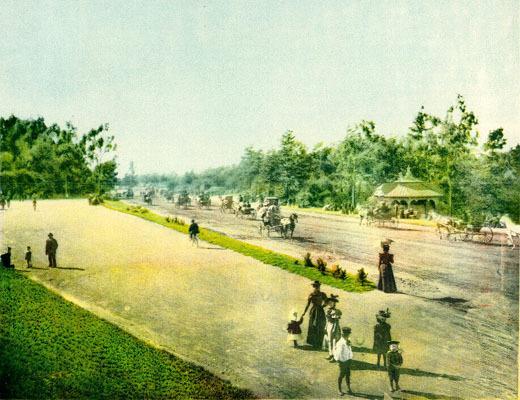 Miles also tends the plot of land known as “the Skatin’ Place,” a patch of pavement surrounded by trees a couple of hundred yards west of the Conservatory of Flowers along Kennedy Drive. . .
On an exceptionally sunny Wednesday afternoon, there are a handful of skaters circling an oval painted on the glass-smooth asphalt, and several more sitting on the grass or benches watching. A few dancers do synchronized steps in the center, shaking to an Earth, Wind & Fire remix coming from an amplifier that Miles wheeled out earlier in the day. The numbers are evenly split between traditional roller skaters and people with in-line skates, with a wide range of age but most looking as if they’re in their 30s or older. . .
Carla Dometrius, a teacher in San Francisco, discovered Miles and the Skatin’ Place about four years ago. “I’ve rarely missed a Sunday since then,” she says. She points out the diversity of the skaters, which include men and women of all ages, races, sexual orientations and walks of life. “I probably wouldn’t get a chance to be hanging out with all these great people if they didn’t have skates on their feet,” Dometrius says. 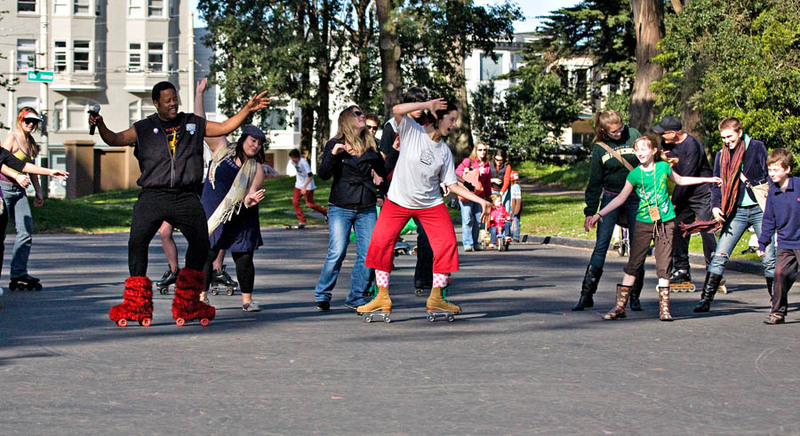 via SFGate: David Miles Jr. reigns as park’s skating ‘mayor’. This entry was posted in people, recreation and tagged golden gate park, roller skating. Bookmark the permalink.